For centuries, people from tropical regions have known about the amazing health benefits of tender coconut water, which comes from young green coconuts. Each nut contains about 200 to 1,000 milliliters (approximately 1 to 4 cups) of coconut water. It is a delicious and refreshing low-calorie natural beverage. Tender coconut water contains more nutrients than mature coconut water. It’s packed with antioxidants, amino acids, enzymes, B-complex vitamins, vitamin C and minerals like iron, calcium, potassium, magnesium, manganese and zinc. The micronutrients in coconut water help boost the immune system. Plus, the plant hormones called cytokinins in this health drink exhibit anti-aging, antithrombotic and anticancer effects. To reap the maximum health benefits, opt for fresh and pure coconut water over the bottled version. You can drink a few cups of coconut water a day or add it to your smoothie recipes. Here are the top 10 health benefits of coconut water. Coconut water is an excellent thirst quencher to beat tropical summer thirst. Because of its electrolyte composition, coconut water is also used to rehydrate the body in case of dehydration and fluid loss due to diarrhea, vomiting or excessive sweating. A good source of carbohydrates, it also helps lift your energy level. Research suggests that coconut water can be used to rehydrate the body after exercise. In fact, a 2012 study published in the Journal of the International Society of Sports Nutrition found that coconut water has a similar positive effect as sports drinks. In addition to boosting rehydration, coconut water is also easy on the stomach and thus is used to soothe tummy troubles like indigestion, acid reflux and gastroenteritis. Coconut water is considered good for controlling high blood pressure, thanks to its vitamin C, potassium and magnesium content. Potassium, in particular, helps lower blood pressure by balancing out the negative effects of sodium. A study published in the West Indian Medical Journal in 2005 also found that coconut water helps control hypertension. To help reduce high blood pressure, drink a cup of fresh coconut water twice a day. Bottled coconut water, however, may not be very beneficial as may be high in sodium. Cholesterol- and fat-free tender coconut water offers cardioprotective benefits. It helps lower low-density lipoprotein (LDL or the ‘bad’ cholesterol) and increase high-density lipoprotein (HDL or the ‘good’ cholesterol) levels, thus reducing the risk of heart disease. According to a 2012 study published in the Journal of Medicinal Food, both tender as well as mature coconut water have beneficial effects on lipid metabolism to counteract increased total cholesterol, very low-density lipoproteins (VLDL), LDL and triglycerides. Plus, coconut water has antioxidant, anti-inflammatory and antiplatelet properties and helps improve circulation. Thus, it helps reduce plaque formation in the arteries and lowers the risk of heart attacks and strokes. Coconut water is also a great natural remedy for hangovers. Alcohol robs your body of hydration and this dehydration causes your morning-after booze blues. Coconut water replenishes the electrolytes in the body and boosts hydration, thus making you feel better. Also, the antioxidants in this revitalizing health drink fight oxidative stress caused by indulging in too much alcohol. It will also help settle an acid stomach. 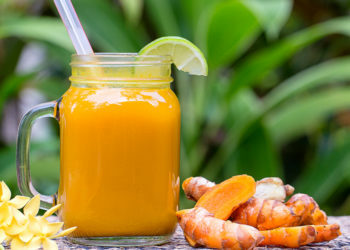 You can make a smoothie by blending 2 cups each of unsweetened coconut water and ripe mangoes, 2 to 3 tablespoons of lemon juice, 2 fresh mint sprigs and ½ cup of ice. Coconut water is an ideal drink for weight loss. It is low in calories and easy on the stomach. In fact, this light and refreshing drink contains various bioactive enzymes that aid digestion and boost fat metabolism. Plus, coconut water is rich in potassium, which helps balance out sodium. Excess sodium in the body tends to cause water retention, contributing to water weight. Thus, coconut water helps flush out excess water as well as toxins from your body. You can drink an 8-ounce glass of this health drink 3 or 4 times a week to facilitate weight loss. Do not drink coconut water in excess as eventually it may add more calories than you want. Most headaches, even migraines, are triggered by dehydration. In such cases, coconut water can be of great help in supplying electrolytes to the body and boosting hydration. Coconut water is also rich in magnesium. People who suffer from migraines often have low levels of magnesium. Studies also suggest that magnesium can help reduce the frequency of migraine attacks. Stress, toxic load and a diet high in acid-forming foods, such as processed fast foods, often contribute to acidic pH levels that cause low energy and reduce the body’s ability to absorb vitamins and minerals. Plus, an acidic pH contributes to problems like stressed liver function, rheumatoid arthritis, osteoporosis, diabetes, high blood pressure and immune deficiency. Coconut water has an alkalizing effect that helps restore a healthy pH in the body. It also helps alkalize the acidic pH levels caused by acidity and heartburn. Coconut water contains amino acids and dietary fiber that help regulate blood sugar and improve insulin sensitivity. 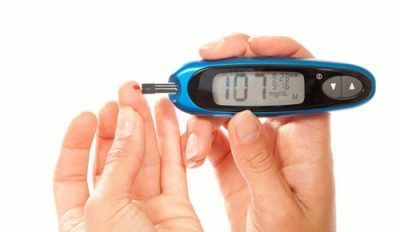 It also helps with common issues faced by people who have diabetes. It helps manage your weight. As it helps improve circulation, coconut water is also good for reducing symptoms like numbness in feet and a tendency to develop atherosclerosis. 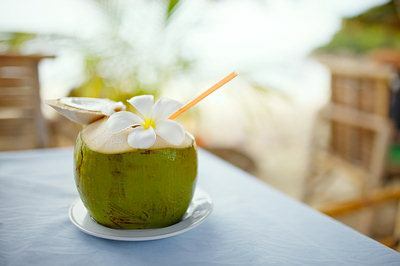 A 2012 study published in the journal Food and Function studied the therapeutic effects of mature coconut water and found that it helped decrease blood glucose levels and oxidative stress. Coconut water acts as a natural diuretic. Thus, it promotes urine production and flow, cleansing your body of toxins. It also helps prevent problems like urinary tract infections. Due to its high potassium content, coconut water helps alkalize urine and dissolves certain types of kidney stones to eventually flush them out of the body. To increase its effectiveness, add a pinch of sea salt to a cup of coconut water and drink it once or twice a day. In addition to its diuretic properties, coconut water has antibacterial properties that help fight bladder infections. Note: Do not drink coconut water if your kidneys do not function properly and you have high potassium levels. Coconut water contains cytokinins that have anti-aging effects on cells and tissues. This reduces the risk of developing degenerative and age-related diseases. Refreshing and clear green coconut water also nourishes and hydrates your skin to keep it soft and smooth. In addition to drinking coconut water, you can mix sufficient coconut water with 2 teaspoons of sandalwood powder to make a paste, apply it on your skin and rinse it off when it dries completely to maintain younger-looking skin. Coconut water may not be suitable for those with nut allergies. It may cause bloating and mild stomach upset in some people. Do not drink coconut water for at least 2 weeks before a scheduled surgery as it may interfere with blood pressure control during and after surgery. 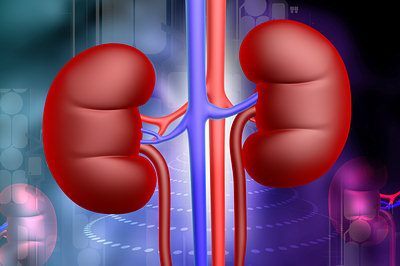 People with kidney dysfunction should consult their doctor before including coconut water in their health regimen. I agree with that Wilma and Qaiser. We should drink coconut water every signal day. I am satisfied that the information you provide me with a few remedies of coconut water really its good for health care i drink daily basis because my job is very hard. This arcticle is very informative…now I appreciate how important coconut water is..thank you so much! yep…coconut water z really helpful..
Where can I buy coconut water in Cyprus? Thank you for this useful information on coconuts water. Very useful. Thank you so much for informing us about coconut water although my mother told me already but now I learned more. U have drink coconut water one time a week.its very helpful for our body.our skin etc. Comment: Thanks for this article, am gonna imbibe the habit of drinking cocoanut water on a tegular bases starting from now. Thanks for the info. Is it true that coconut water neutralizes effect of any drug. And if true, what is the time lag b4 taking drug. Thank u for giving good information about coconut water. I just had my first taste of coconut water. I didn’t like it as much as I thought I would. But I’ll keep drinking it! try different brands…….i mistakenly bought the gel one and didn’t care for it…. Thanks for this illuminating article on COCONUT WATER and its health benefits . I shall adapt myself to drinking I regularly. Cheer.. I use it to blend my green smoothie of green bell pepper, calalloo, cucumber, pak choy and lime or lemon. Thanks you so much for this information. it also helps to get flawless ski and its loaded with lots of nutrients,.. 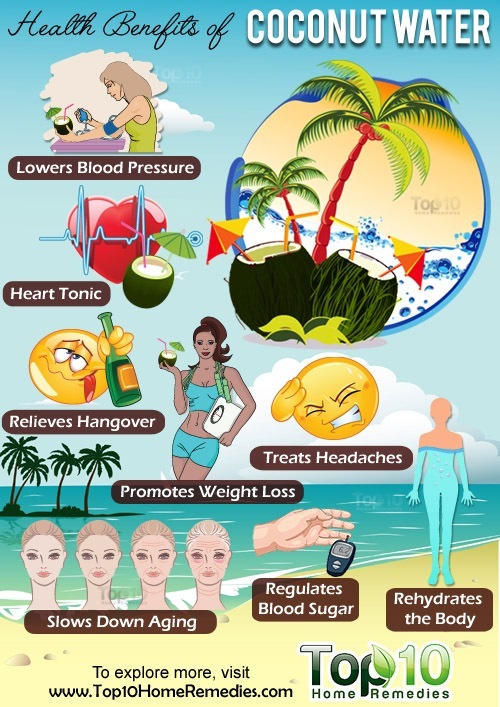 Please educate the world of the benefits of coconut water on human body . Also to encourage the plantation of coconut trees at the tropical countries as a means financial benefits. This is an important research study and benefits.